Quick and easy appetizers that your guests will love! We wanted to make appetizers, and had been looking for something to make with the brie we had bought. Instead of simply topping the brie, we decided to stuff it into puff pastry with the topping. They were so simple to make that you may want to double this recipe….these went fast!!! 1. Mix craisins with honey and rosemary. 2. Cut 2″ squares out of puff pastry. 3. 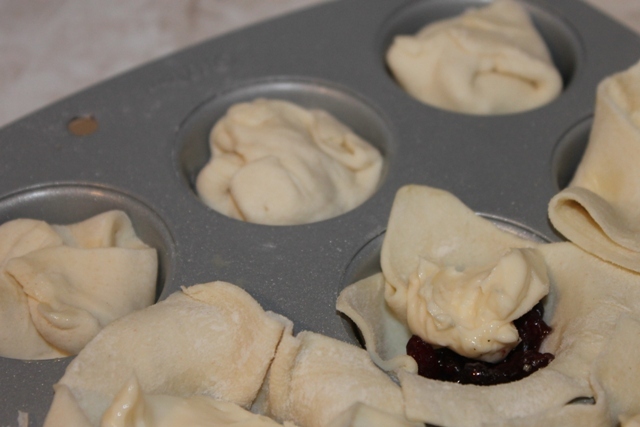 Place squares on top of mini muffin pan and gently press center into pan. 4. Spoon in a bit of the craisin honey mix and top with 1 tbsp of brie. 5 . Brush corners with egg wash and fold over to seal the top. Brush top with egg wash and bake for about 25 minutes, untill golden brown. 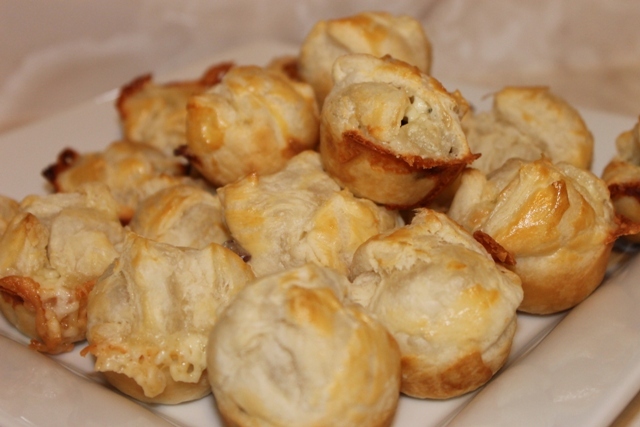 This entry was posted in Appetizer and tagged Brie by Buttercream&Bacon. Bookmark the permalink.